The Archivists Round Table (ART) is pleased to announce “Archiving the Gesture” an expanded lecture demonstration exploring evolving practices around the archiving and transmission of the artistic works of acclaimed choreographer and dancer Trisha Brown, co-presented with the Trisha Brown Archive, in collaboration with former Archive Director and company member Cori Olinghouse, and former company member Shelley Senter. 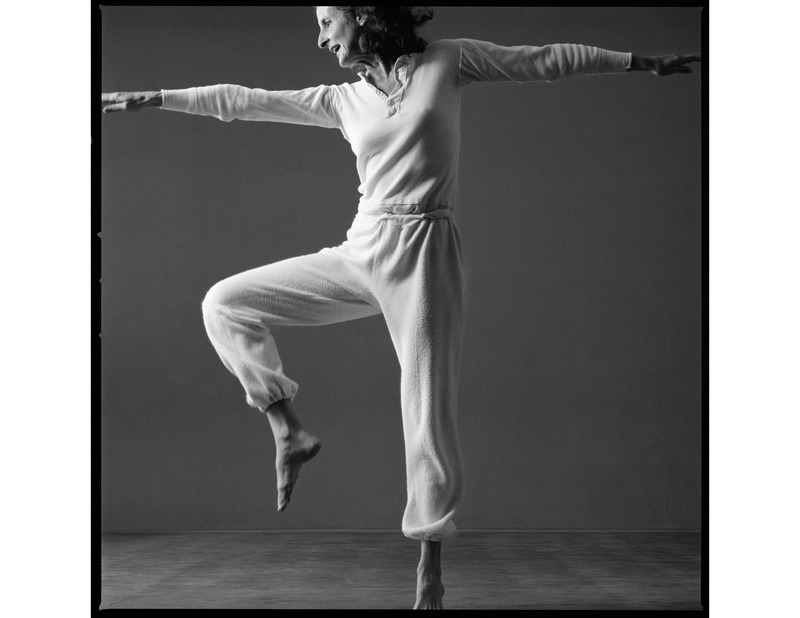 One of the most acclaimed and influential choreographers and dancers of her time, and an artist whose work has earned recognition in numerous museum exhibitions and collections, Trisha Brown (1936-2017) has forever changed the landscape of visual art. Her movement vocabulary, and the new methods that she and her dancers adopted to train their bodies, remain one of her most pervasive legacies within international dance. The Archivists Round Table (ART) is delighted to announce the receipt of a generous gift of $1,000 to our campaign from ArtQuake, a local collective supporting artists of the Caribbean diaspora. This gift, and the individual gifts of over one hundred ART, ARLIS/NY members and allied fields throughout New York City, brings the total donations towards supporting Puerto Rican archivists consortium La Red de Archivos de Puerto Rico to $4,640 -- 93% of our initial goal of $5,000. In honor of this spirit of generosity, ART is temporarily extending our fundraising through the end of January, so that we can reach our goal and fully finance making Spanish-language instruction on disaster recovery and collections care freely accessible to cultural stewards across Puerto Rico. If you considered giving before and did not have the opportunity, please make your contribution by January 31st! The Archivists Round Table (ART) is pleased to announce a holiday celebration and benefit on Tuesday, December 11th in a beautiful gallery in Lower Manhattan. This year, we are delighted to invite our colleagues from the New York chapter of the Art Libraries Society of North America (ARLIS/NY) to join us and to announce that the proceeds from the event will be donated to Puerto Rican cultural heritage collections impacted by Hurricane Maria. For the past several months, ART has been collaborating with ARLIS/NY in organizing a project to support existing recovery efforts on the ground in Puerto Rico, and to aid local organizations in preparing for future disasters. This effort, undertaken in partnership with La Red de Archivos de Puerto Rico (ArchiRED), will include the creation of Spanish-language programming and instructional materials on preservation, disaster response and recovery, and grant writing that will be freely accessible to all organizations across the island. To further this endeavor ART is hosting an online fundraising campaign and donating the proceeds from the campaign and the holiday party to ArchiRED. Come enjoy festive refreshments in a beautiful space with colleagues from ART and ARLIS/NY in support of cultural heritage in Puerto Rico, with speakers Caroline Gil and Coral Salomón, and photography on view by Cristobal Guerra. We hope to see you there! Join the Archivists Round Table Tuesday, November 13th for a lecture and reception on René d'Harnoncourt and the Art of Installation published by The Museum of Modern Art (MoMA). The book explores the pioneering exhibition designs of René d'Harnoncourt through drawings, layout plans, and photographs from the René d'Harnoncourt Papers in the MoMA Archives. 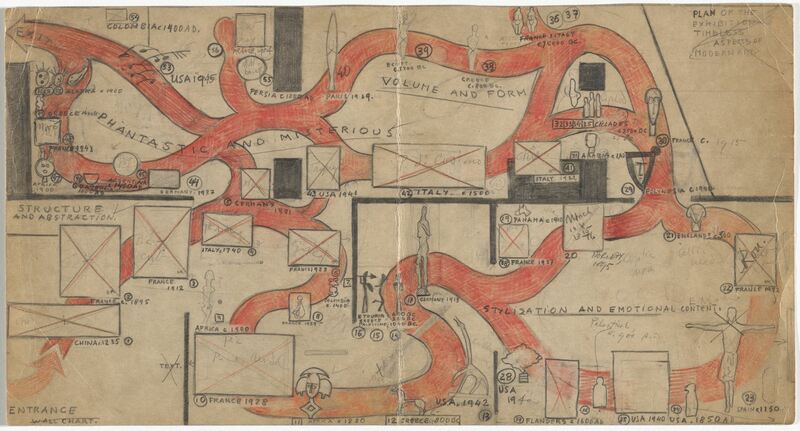 Pictured, above: René d'Harnoncourt, Hand-drawn circulation plan of the exhibition "Timeless Aspects of Modern Art," 1948-1949. Graphite and red pencil drawing on paper. Ireland's thirty-two counties have a long history of New York City-based fraternal, social, and benevolent associations. This project makes over 15,000 pages from the minute books of eight Irish county societies, spanning 1903-1996, available to scholars via links in the finding aid to the Irish Counties Societies Collection (AIA.003) in the Archives of Irish America. The digitization was made possible by a generous grant from Ireland's Department of Foreign Affairs. The Archives of Irish America is a repository of research materials that assists students, faculty and visiting scholars in understanding the Irish migration experience and the distillation of American Irish ethnicity over time. It was established in 1997 as part of New York University’s Division of Libraries, with the support of Glucksman Ireland House, NYU's Center for Irish and Irish American Studies. This fall, the Archivists Round Table of Metropolitan New York, Inc. (A.R.T.) will be celebrating its 30th Annual New York Archives Week from October 17th-24th, 2018. Archives Week events are designed to raise the public’s awareness of the importance of preserving and making accessible our documentary heritage. Activities include a wide range of programming, including lectures, workshops, exhibitions, and tours of repositories, all free and open to the public. 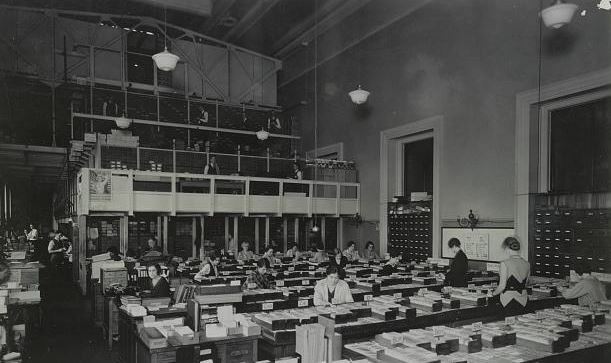 Last year, over thirty institutions in New York City held events relating to archival records. We would like to see similar participation this year and thus urge you and your repositories to plan an Archives Week event! * Hold an open house, highlighting unique materials held by your repository. * Mount an exhibition using materials from your repository. * Demonstrate or report on activities/projects supported by grants. * Ask a researcher to speak on the value of your collections to their research. * Present a film festival using films or videos held by your repository. * Sponsor lunchtime talks by archivists, historians, and other researchers. * Organize a walking tour of your repository's neighborhood. The deadline for submission of the form is Friday, October 5, 2018. Questions regarding submissions should be sent to president@nycarchivists.org. -- On Wednesday, October 24th, we will honor our colleagues at our Annual Awards Ceremony. The Archivists Round Table is pleased to announce an archives and exhibitions tour and reception at design gallery R & Company. Celebrating 20 years in business, R & Company is defined by their combined goals of promoting a closer study, appreciation, and preservation of 20th and 21st century design. R & Company Archives and Library and tour exhibitions on view, including a historical presentation of Brazilian mid century design firm Forma, an immersive installation of biomorphic sculptural works by Rogan Gregory, and an exhibition of German toy designer Renate Müller. Please join us in congratulating all of the nominees and the winners. 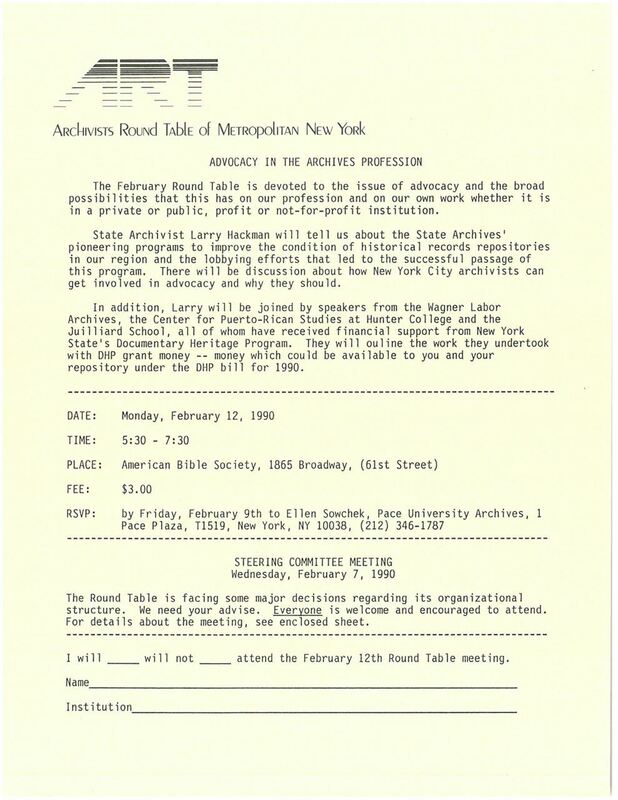 Since 1979, the Archivists Round Table has supported the efforts of professionals and institutions to promote and preserve archives and records management in the New York Metropolitan area. Its archives are a document to that history and consist of a growing repository of correspondence, professional development, events, workshops, advocacy, and overall history of New York archives and individuals. Located in the archives at the New York Philharmonic, my exploration of ART’s archives began by creating an inventory of its materials starting with box 1, folder 1. As my time with the materials grew, so did my knowledge of its dynamic history and the many people that have contributed to its mission. ART’s archives are a testament to New York and its history, as well as the institutions that have preserved its communities and cultures.